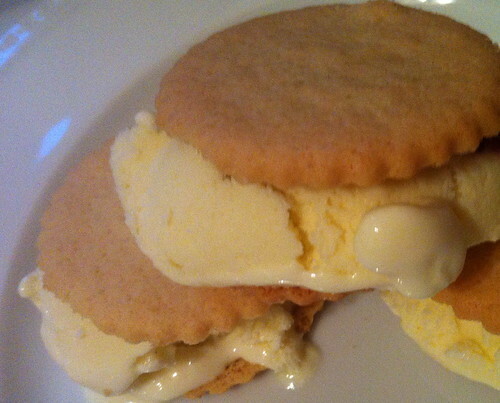 Ingredients: One batch of Emeril’s lemon lavender ice cream and one box of Trader Joe’s Meyer Lemon Cookie Thins. Yes, you’ll need an ice cream maker for this. YOU DON’T HAVE ONE YET?! Instructions: Sandwich together one (very tiny) scoop of ice cream between two cookies. Eat and enjoy.